For today’s sixtysomethings, retirement has changed almost beyond recognition since their parents’ day. There’s greater uncertainty about the future and more choice about when and how to retire – or, indeed, whether to retire at all; work is increasingly part of retirement. Yet this generation is still held back by outdated myths. At one extreme, retirement is still seen as living the dream in a rose-covered country cottage; at the other, it’s filling time on life’s scrap heap until you die. No wonder people dread the R-word. And that’s a crying shame, because it can – should – be the best time of your life. All that’s needed is a bit of planning and preparation, and debunking some long-held myths. Bring up the subject of retirement, and the conversation automatically turns to ageing (think “retirement villages”). It’s a knee-jerk association that totally misses the mark. It’s also unhelpful. 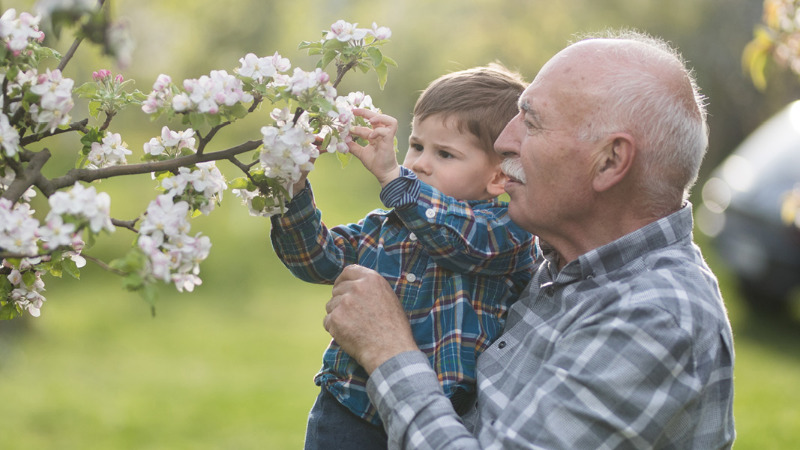 The issues people wrestle with when they retire are about changing, not ageing, and about negotiating one of the biggest transitions we face in life. That’s recognised in research for the Calouste Gulbenkian Foundation, which looks at the lessons people learn from other major transitions, such as having a baby or divorce, and how they can use the resilience and strength built up in times of crisis and change. It sees retirement as a time to harvest previous life experiences and skills. Yet the link with old age remains an offputting distraction that’s hard to shake. Ageist stereotypes about what people are capable of in retirement can make it harder to get a job in your 50s and beyond, be it part-time, paid or unpaid. And ageism is catching; it eats into self-esteem. No wonder people approaching retirement go into denial until the reality hits them head-on. This generation of sixtysomethings don’t see themselves as old. Many have more vim and vigour than their parents did at the same age and can expect to live longer – on average into their late 80s. “Old age” now encompasses a vast span of years, from 65 to 100. Looking back on how much your life changed between 25 and 60 is just one indication of how many possibilities could lie ahead. You’d think so, given that “retirement advice” invariably means “pensions advice”. There’s much less support around the huge psychological and emotional challenges of giving up work, such as loss of identity, finding a new purpose and building new social networks. The obvious link between money and a good retirement is undeniable – no one can find fulfilment if they can’t afford the basics – but that goes for every stage of life. While, for some, a pension is the liberation it should be, because it allows them to explore what they really want to do in life, now that they no longer have to bring home the bacon, the sad truth is that many people are strapped for cash and can’t afford to retire. These days, retirement involves some work for more than 1.4 million over-65s in the UK, either because they want to or because they have no choice. But while pensions may be more complex since the 2015 reforms, keep in mind that financial planning should be just one part of a much bigger retirement jigsaw. Don’t fixate on the money. In a long-hours culture that places a high value on career status and success, it’s not surprising that retirement is seen as an end, rather than the start of something new and full of potential. What makes matters worse is that we’re now encouraged to work into our late 60s and beyond, so retirement looks even more like a cop-out. But it’s a mistake to think that you have to be in paid employment to be productive or fulfilled. In fact, many people achieve much more when they retire than they ever did at work, pursuing activities – through learning, politics, volunteering, mentoring – that resonate with deeply held convictions, and picking up old interests they gave up reluctantly. One former policeman told me that his achievements at work were nothing compared with the satisfaction of smashing his drum exam. What’s more, the assumption that you have to be constantly busy to achieve anything needs to be challenged. One of the most precious things about retirement is the opportunity to work out genuine priorities, and to be true to yourself. This may involve taking a second look at what we value when being paid is out of the equation. It may involve an exploration of the spiritual side of life. Above all, it means accepting that the working world’s definition of “achievement” is severely limited. In fact, health and wellbeing often increase, according to the Office for National Statistics, while depression and anxiety often fall. It’s not hard to see why: when people aren’t constantly rushing around, they pay more attention to a healthy lifestyle; there’s time to find new sources of fulfilment and exercise. Yet the fear of losing your edge without the daily stimulus and social connections of work is all too common. We’ve all heard stories about people who spiral into ill-health and depression within months of stopping work. Anyone with few outside interests is vulnerable, although individual reactions are unpredictable. It sounds surprising, but workaholics often love retirement as much as they loved their jobs. The secret is curiosity. So it’s a big mistake to see work as the only way to stay mentally and physically sharp: in retirement, there are many more ways to stay on your mettle. But you have to be proactive. One of the biggest myths about retirement is that it’s a passive stage of life. It’s actually quite the opposite, but with no one else to goad you into action, it’s entirely up to you to make stuff happen. That’s not a problem if you’re curious and keep stretching your boundaries, both physically and mentally. But it’s not going to happen to people who while away the time in front of a screen waiting for wine o’clock. Even devoted couples panic, whether they retire together or one after the other. And it still seems to be women who worry most about how they’ll cope when their partner is at home all day. The dramatic change of routine, and in the couple’s individual and joint identities, are bound to have a massive impact. But it may well be a positive development – in the long term, at least. Several studies here and in the US show that retirement actually improves marriages. But the same studies show that, in the short term, the transition from work to a home-based daily rubbing along together can be a source of conflict. If it’s managed carefully, even a turbulent period of adjustment can be productive. Retirement prompts the kind of shake-up that many long-term relationships need. By forcing couples to hammer out their differences and talk about their expectations, it keeps the relationship developing, moving forward and very much alive. A common bone of contention is when partners find that their loved one’s vision of the next stage is different from their own. That doesn’t have to be the kiss of death, although it’s clear from rising over-60s divorce rates that the pressure on already rocky marriages can prove too much. By contrast, retirement strengthens solid relationships because it allows time and emotional space to give it priority, perhaps for the first time in decades. It’s the perfect opportunity to reinvent a relationship and cement your commitment for the next stage. One of the biggest myths is that retirement is a static phase during which nothing much changes. Life continues to evolve, and it’s hard to predict what’s around the corner. Each new interest can open doors and expand horizons in unexpected ways. • Not Fade Away: How To Thrive In Retirement, by Celia Dodd, is published by Green Tree at £12.99. This article was written by Celia Dodd from The Guardian and was legally licensed through the NewsCred publisher network. Please direct all licensing questions to legal@newscred.com.